← Benedict Cumberbatch Named to Time’s 100 Most Influential People…and, rightly so! The headlines of the day are shouting the news that Jude Law has joined Colin Firth and Nicole Kidman in a role that was previously occupied by Michael Fassbender in theater director Michael Grandage’s upcoming film debut Genius. But what I’ve extracted from that headline is NOT that Jude Law has signed on to another movie…but that my favorite British everything, my husband from an alternate universe, “MY” Mr. Darcy…is doing yet another film with the ravishingly beautiful (and yes, talented) Nicole Kidman. Look, Kidman’s no fool. She knows a good thing in a leading man when she’s found it. Genius will mark the fourth film Colin and Nicole will have made together. Could they be our generation’s Spencer Tracy and Katherine Hepburn? Their first film, The Railway Man, currently out in theatres, has Kidman playing the wife of Firth’s Eric Lomax, a former British Army officer, who was sent to a Japanese prisoner of war camp and tormented during World War II then years later discovers that the man responsible for much of his treatment is still alive and sets out to confront him. Firth and Kidman play husband and wife for the first time in The Railway Man sparking an on-screen chemistry that will lead to three more films! I haven’t seen the film yet but I can already tell there’s going to be a LOT of scenes in which Kidman will have to kiss and comfort Firth through his post-war trauma. Could this be the new Tracy and Hepburn ? Colin now jokingly calls the Australian beauty his “work wife”. At the recent Railway Man premiere in NYC, Firth told the NY Daily News,“Once you develop a connection with somebody, it helps you from job to job.” Grrgh, that was supposed to be ME! I mean, hasn’t he SEEN my work in William Shatner’s Tek War? I think it was absolutely good enough to star opposite an Academy Award-winning British God! Okay, so…he thinks she’s beautiful, talented AND smart…how do you compete with that? Before I continue on my jealous rant, I should reveal that I’ve actually always been a big Nicole Kidman fan. Even during her momentary lapse of judgement when she was Mrs. Cruise I’ve always enjoyed her films and can agree with Colin that her work has always been thoughtful, provocative and unique in choice. From her indie choices like Margot at the Wedding, to her musical debut in Moulin Rouge to her Oscar winning performance in The Hours…I always enjoy watching her. And apparently so does Mr. Firth because after The Railway Man he jumped right into Before I Go To Sleep, once again playing Kidman’s husband…at her request, of course! (Again, she’s no dummy). 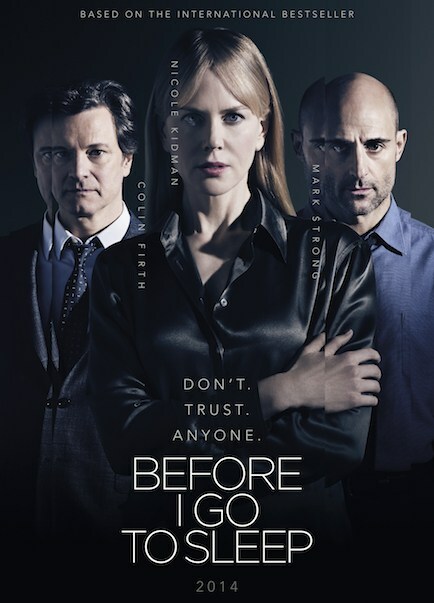 Before I Go To Sleep is a psychological thriller about a woman who has amnesia and wakes up every day with no knowledge of who she is. Ohhh-kay…really? She has amnesia? So that means he’s going to have to remind her on a daily basis how much he loves her with kisses and snuggles in bed…blah,blah,blah. Did Nicole write this script? Because it’s the one I would have written if Colin Firth were my co-star…like he should have been in Tek War. That was only 44 seconds and it had me breathing into a paper bag. How am I supposed to sit through a whole movie of that? Thank goodness there’ll be NO canoodling in their third film, Paddington based on the beloved children’s book, because #1: Colin is actually VOICING the animated bear Paddington not appearing in the film himself…and #2: Kidman is playing the villain…evil taxidermist Millicent! Not likely Paddington and Millicent will be hooking up and smooching in the deepest, darkest jungles of Peru on this one! Which makes me rather relieved…I can actually watch this Firth/Kidman outing without tossing back a bottle of Pimms beforehand. 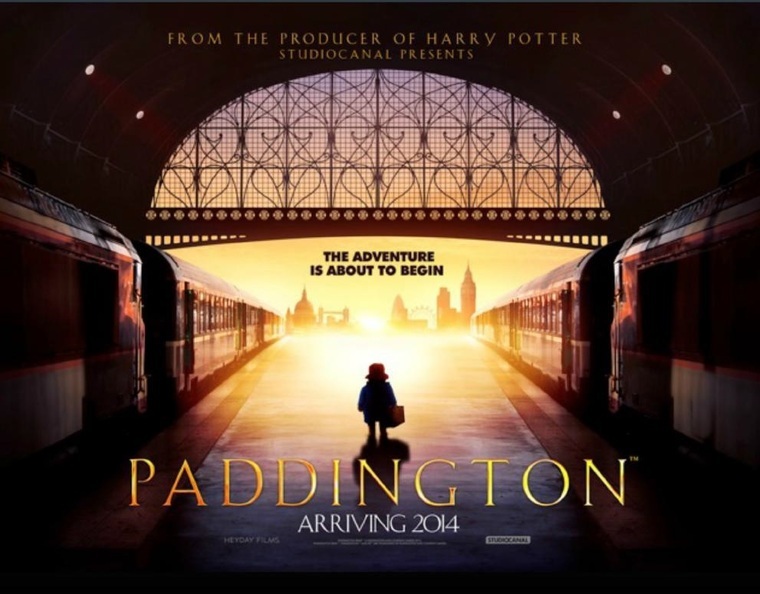 Paddington arriving in theatres this December….with NO love interest! In the recently announced Genius, based on A. Scott Berg‘s book “Max Perkins: Editor Of Genius,” the film will center around the real-life relationship between literary giant Thomas Wolfe (Played by Jude Law) and renowned editor Max Perkins (played by Colin), who developed a complex friendship that changed the lives of both men forever. No word yet on what role “Nic” will be playing, but it’s presumed she may be playing Wolfe’s lover and muse Aline Bernstein. Whew! So that means she’ll be the love interest for Jude Law and NOT Colin. Good, because they need to give the whole “smushy love scene” thing a rest. That is, unless she gets her little “A-list-actress-that-has-final-approval-of-everything” hands on the script and changes things! But there’s always the press junkets. If you think these artists spend a lot of time bonding on the set…imagine what life is like on the road doing press junkets? You know, a glass of wine in the hotel bar after a long day of exhaustingly monotonous media questions…and BAM! What happens at the press junkets…stays at the press junkets…. I know exactly what she’s thinking…. By the way, I KNOW this look…it’s the look Marcia Brady used to give Greg in every…single…scene…they ever had together on The Brady Bunch. Even as a little girl I KNEW…”she has a crush on him!” Nicole…I think your secret is out! See what I mean? Even Jan knew Marcia “Liked’ Greg. Ew! And speaking of spouses. I’m amazed that the striking Italian woman Colin Firth is married to, Livia, hasn’t put the kibosh on this magnetic on-screen partnership. Not just because she’s a hot-fiery-passionate Italian but because I’ve met her and seen her in action. In the lobby of a Beverly Hills hotel where I happened across her handsome husband just hours after he’d won his Academy Award for “The King’s Speech”…I was just settling into a nice (surprisingly non-Fanilow-like) conversation with him, when Mrs. Firth swooped in and escorted him away like the runner-up at The Miss America Pageant. Sheesh! It’s not like I was wearing my “I love Mr. Darcy” t-shirt and asking him to sign my right breast. Imagine… that was only after a few moments of non-flirtatious chatter (and not by my choice, mind you! )….how does she stand months and months of the electron-producing Firth/Kidman chemistry heating things up on a far away movie set somewhere? 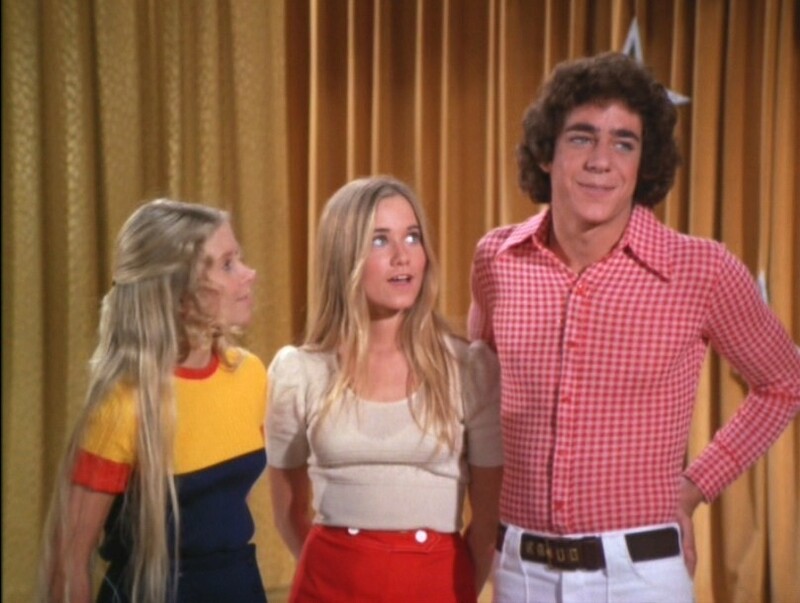 I think I’m going to have to show Livia Firth episodes of the Brady Bunch in Hawaii…where things really heated up for Maureen McCormick and Barry Williams! See? They couldn’t keep their hands off each other! And they were playing brother and sister! In the end, who can blame Kidman. If I were her I’d sign Firth up for the next two decades. I’d re-make every romantic movie under the sun with him….And, if she hangs on to him long enough…they can do the re-make of “On Golden Pond” But for now FirthFans have four fantastic Firth/Kidman films to look forward to and I will just try to soldier through it all. Ahh, just as I was getting used to the idea of Livia Firth….along comes Kidman. 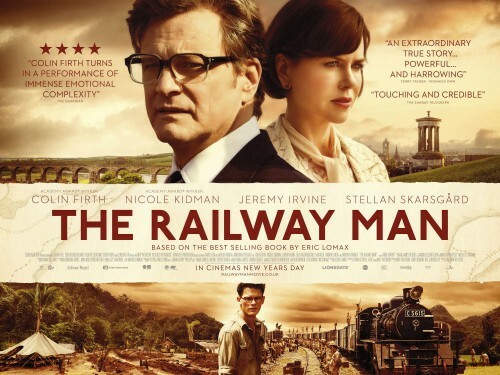 Colin Firth and Nicole Kidman can be seen in The Railway Man. In theatres now. This entry was posted in Home Page Posts, Lady Anglophile Reviews & Other Bits and Bobs and tagged Before I Go To Sleep, Colin Firth, Genius, Nicole Kidman, Paddington Bear, The Railway Man. Bookmark the permalink. 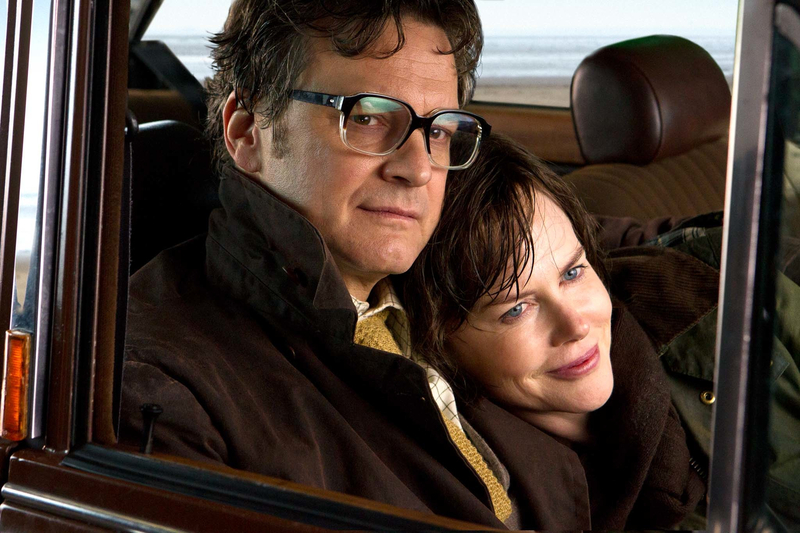 5 Responses to Colin Firth in yet ANOTHER Nicole Kidman film….Should I Be Jealous? I too agree COMPLETELY with all of your sentiments and admit, I am jealous on one hand and on the other, couldn’t happen to a lovelier lady. One thing wrong. Colin is not in Paddington now. And if he were I don’t think he was going to be Nicole’s love interest. He was just going to be the bear’s voice. Level), and various recitals and cello competitions. At exclusive functions, solo cello shows are offered by Sergei Pavlov furthermore. Concerns must be made in progress. Please contact us for details. See highlights of Pavlov’s cello collection about the Educator site.